Over the past seven years, we’ve surveyed more than 30,000 technical professionals around the world to explore the relationships between IT performance, DevOps practices, culture, organizational performance and other elements that affect business outcomes. In the process, we’ve built the deepest and most widely referenced body of DevOps research available. 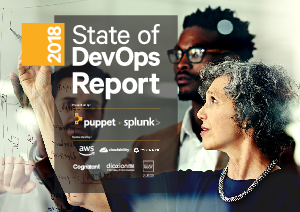 The 2018 State of DevOps Report breaks new ground in our understanding of the DevOps evolutionary journey. We have identified the five distinct stages of DevOps evolution, and the critical practices at each stage that help you achieve success and progress to the next phase of your journey.